Your RV is a big investment, and you want to make sure that you are taking the best care you can of your rig. This means you want superior upgrades from a company that provides the best products and best service in the RV aftermarket. Your friends at RecPro have been your #1 supplier of RV aftermarket parts since 2014. Why? Because we take a “whole RV” approach to our customers' needs. From the top to the bottom of your recreational vehicle, we’ve got you covered. Your bathroom is an important a part of your RV. It is just valuable as the engine that pulls you down the road. It has to be working time and time again, but (unlike your engine) it also has to be pleasing to the eye. We’ve combined both looks and functionality in our line of lavatory products. Our addition of RecPro Stonecast sinks to the lavatory line-up is going to help you create a complete and comfortable environment for your RV’s bathroom. These sinks are heavy-hitters in the bathroom world. Whether for your RV or your home’s bathroom, this is a sink that is designed to last. The sinks are singularly cast in a mold with a high-density composite material that is not only hydrophobic (which means that it is very resistant to water penetration) and extremely resistant to temperature fluctuations. 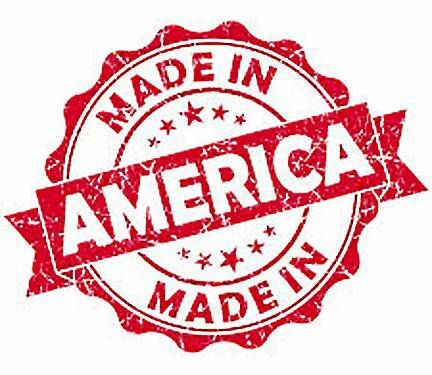 This Made in America product has a thermal rating up to 500°. While it’s not recommended you sit any boiling pots of water in this sink, it will resist the hot water from your faucets for years to come. If there’s a manufacturing defect in this product, it’s not just the high-quality construction that will give you peace of mind. There’s also a 100% lifetime guarantee against manufacturer defects. Set your bathroom up to look like a winner with one of our sturdy sinks. They’ll last your rig a long time and look good while doing so. RV Skylight 14" x 22"